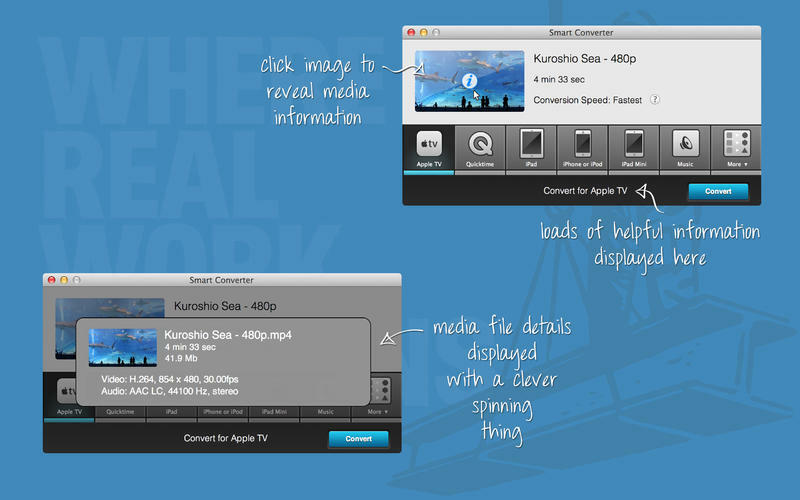 The world’s most popular video converter for Mac, since 2011. Smart Converter is the fastest, easiest to use video converter on the App Store, thanks to it’s Smart Conversion technology. See for yourself why millions of people around the world rely on Smart Converter for all of their video conversions. Smart Converter handles 100s of file types and converts so they play on your favourite devices. It will also add your converted file to iTunes automatically. Just drag your file into Smart Converter, select an output preset and click convert. It’s really that easy.